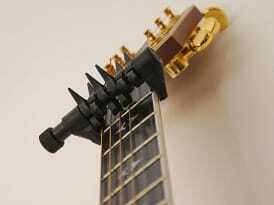 I’ve always wondered about the string action of my guitar. You’ve worked with some of the greats. What types of setups do they prefer: high, medium, or low? And how high is high? In inches? Do a lot of guys like low action and a straight neck? Do tell! Hey, Shawn! Interesting questions. No two players I’ve worked with have ever been exactly alike—which doesn’t seem like much of a shocker when you consider that the nature of the players and their personal interpretations of what they play. What you might find interesting is that the majority of pro players I’ve worked with prefer a string height ranging from low to medium-low. What’s also interesting is that the younger pro players I’ve known typically asked for setups with higher action. Strange, huh? My only stab at a theory here is that, based on what I’ve seen, players tend to go through a “maturation” process with their playing, and eventually become more precise and knowledgeable of how to achieve and span a broader dynamic spectrum. High action can make you work harder, and when you work harder the sound you make is actually harder and more aggressive. Chalk it up to testosterone. Still, it’s my belief that younger players tend to exude a bit of a “bull in a china shop” approach when they want you to know that they mean what they’re playing. And make no mistake—this is a cool thing. You’ve gotta love the sound of an aggressive attack properly applied. The other factor to consider here is that some players have never had the luxury of playing guitar with a great setup. They don’t know any better until they meet commercial success and someone shows then how well a properly set guitar can play. To answer your question “How high is high?” I can definitely say it ain’t in inches. To be honest with you, I’ve never taken a measuring device to a fretboard to determine what height the strings should be. For one thing, it’s an individual and subjective measurement; more importantly, it’s a matter of “feel.” One of the nice aspects about playing guitar is that, after a while, you’ll hopefully get intimate enough with your axe to know if it needs some tweaking. You’ll be able to pick it up and say, “I think the truss-rod needs a touch more slack.” It you’re not there yet, don’t worry. Just keep playing, you’ll get there. 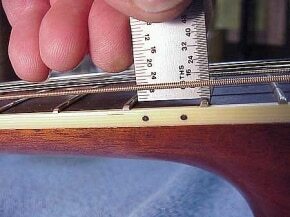 Another thing to be considered when setting string height is the gauge of string you are using. Medium/heavy gauge stings need more clearance from the frets than light/extra light obviously because of the larger vibration spectrum. For years now, I’ve run the Martin Bluegrass strings on two of my acoustics. The M240 strings, not the SP Bluegrass type. The size runs from .012 to .056. So it’s a mix of light to medium guage strings. I find them very versatile, and they give you a deeper, warmer, richer, louder sounding ring while still maintaining great brightness. Obviously you give up a little bit of playability if your a lead player string bender. So there is a lot of factors to consider when deciding string height to include playing style, and how your saddle to nut ratio is set-up in respect to the heights. A straighter kneck adjustment with a higher saddle generally require a high string action than vice versa. IN GENERAL, AND FOR GREATEST VERSATILITY, I’D SAY A MEDIUM/MEDIUM-LOW STRING ACTION IS THE WAY TO GO. But don’t go and just start cranking around on the neck. Have the strings you are going to use on it, and have an idea of what you shooting for first. And whether it’s a neck adjustment, or saddle adjustment you really need. Or a little of both. Once it’s set-up they way you like it, always use the same type strings as it was set-up with. If you do want to change, do a little research and pick a string that applies the smae string tension to the neck. Hope this helps…peace!!! Hey Fred, thanks for the post. Very insightful. I am a repair tech, and as much as i want to let everyone “try” and setup their guitars themselves only to mess something up and take it into me, I will give you some advice. 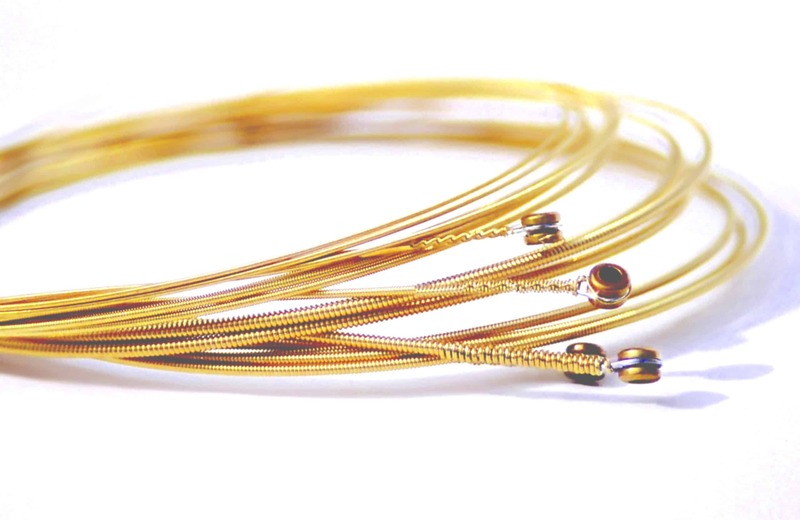 Heavier gauge strings are “heavier” because they are thicker and thicker because the core of the string is thicker. A thicker core will require more tension to get the string up to pitch. Therefore, heavier gauge will not need more clearance because they are under greater tension. The added mass is very minor compared to the change in tension. I have many cases where people too much buzzing and not nearly low enough action and I suggest to them all that if their fingers can deal with the extra effort of if they don’t bend often, change to a higher gauge string. I agree with your suggestion of having a hybrid medium to light .056 to .012. Bass strings tend to buzz more than treble ones at an equal action height and tension because of the added mass, however a .052 bass E will buzz more than a .056 bass E string because the added tension (the .052 will be “sloppier”). With a hybrid string set, you can lower the bass string action a little more if that’s what you want, and the bass will be “punchier” (even more if you left it at the same height on an acoustic, more on this later). Overall, I love guitar players, but I can’t stand when no compromise is made by the customer between the unavoidable increased buzzing with lower action. Also add to that the increased buzzing with lower gauge strings, having the straightest neck, lower profile frets, etc. People should just go fretless if they have these sort of expectations. I can handle the death metalhead electric guitar player who wants the lowest action possible without choking, because most light buzzing will not be noticeable on through an amp, especially with distortion. Expecting extremely low action on acoustic is just downright unacceptable. Buzzing is amplified through the body and will sound unpleasant. Also add the fact that you decrease downward pressure on the saddle and decrease volume of the instrument. This is especially true of classical guitars. I heard that Segovia used to play with high action around 1/4″. He not only completely eliminated the buzzing possibility, but knew that it would increase his volume and dynamic range. I know I’ve been ranting, but please be careful about the advice you give others. It just makes my job more difficult because people will insist that I (a skilled luthier and repairman) am wrong and refuse to get the proper work done to their instruments to make them sing like they are supposed to! Thanks for your time! Any related question you have I am willing to answer (for the right price…..j/k). Oh, and to all, please have a PRO do work to you guitar. We are trained to see differences in thousandths of and inch, and it is that kind of eye and experience that will insure your guitar can “be all it can be.” Don’t use a dime either, unless its you last hope and you are an experienced traveling guitar tech who lost their 6 inch ruler! Great advice atomtech, thanks for the in depth and helpful post! If you have a website link or information to leave for readers to contact you, that would be fine. LMAO @ the trained to see differences in thousandths of an inch. John, I’m glad you find it amusing. I bet it feels as amusing to me when ignorant people like you try and adjust their own guitars only to bring them back to our shop and have us charge them to fix whatever slop work was done by the person, and then to do the original repair correctly. I LOL and sometimes ROFL when it happens, O…M…G. Anyways…I know many players who can FEEL the differences of very minor adjustments, so I am not sure why this “Thousandths of an inch” idea is so outrageously LMAO funny; try buying a ruler with more lines on it – not made of plastic. To everyone else open to knowledge, here’s a test: if you can tell the difference between a high e (~.010) string and a high b (~.013) just by looking at them side-by-side, then that would be in the thousandths of an inch, and you have better-than-John “superman vision” that most repairmen have. If not, please take your guitar in to a pro before trying anything. If anyone else wants any advice about setups for acoustic or electric guitars, please post them here. And to Chaz, I do not have a website, so for now we’ll have to stick to this comments section. I do not disagree with bring it to a tech but I also say lear to work your guitar truss and bridge as a minimum to set your own guitar up. It can be frustrating and you may get a little scared as you buz it in and out of set up but you will learn it at a basic level. I began this way and moven on and on. I now have learned to level my fret board and crown and polish my frets. It is a long job ! 10 hours on my fisrt one going slow to crown with the burr to a thin line then smooth it out with paper to wool to a polish with compound. I then had to shim the neck to body saddle for optimal buzz free action as the neck did not sit just right. yes 1 thickness of masking tape at the heal made a huge difference. I now have killer low action and a ultra clear buzz free tone. Very happy I learned this. I know this is not the norm and I have some talents and back your advice to have techs do the work but I also feel learning your truss and a little brige work should be learned by players. I also stumbled into the heavier strings buzz less advice you give. I wanted a heavy sound so I put on some light to heavy strings and was amazed at the tension and low buzz difference when I thought I was going to pick up buzz. I can see why one would think opposite as many do. Great advice and to clear that up for folks ! I also wanted to add. For those who do repair set up work. Is it not amazing how you can take a fret rocker to a store and check the frets on a 800 or more dollar guitar and find they are not level… It is criminal. People wonder why when they buy a $$ instrament and can not get low action without buzz. Once I learned to level (individual and complete) I turned my guitars from playable ok guitars to all fantastic playing great action clear playing dreams. I am so happy I took the time.. I have guitars so nice as mentioned only pros some times get the chance to play once they hit a real good tech. hi everyone, especially to our luthiers who are following this thread. im a noob in guitar adjustments. Just recently, i changed the strings of my set neck guitar from gauge10 to gauge9 strings. The only problem is i have experienced a lot of buzzing. and to avoid that i need to raise my bridge. 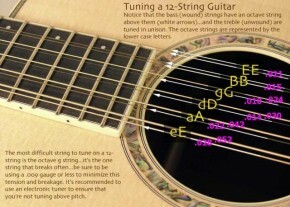 I am so disappointed, please help me how to lessen the buzz somehow, i dont want to go back and use gauge10 strings again, it is quite hard to play (and expensive too, because its like buying 2 sets of strings if i decided to bring back my old gauge). 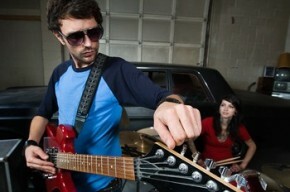 Do i need to adjust the truss rod? how to adjust it? loosen(counter clockwise turn) or tighten it (clockwise turn)? how much truss rod adjustment should i make? how bout the intonation? my other guitar is a jackson guitar, i have gauge9 for it and it has a very low action, yet stil very playable. i want to do the same thing to my other guitar, please, please help. . . If you went lighter you probably need a truss rod tweak to give a little more relief as it needs a little less tension due to the lower string tension. It should be a minimal amount but should help. That is if it was correct to begin with. You also will probably need a intonation check. The 9 will buzz more at the same action as you had. I would reccomend 10’s to anyone without hesitation the bass power chords are beter just everything it better. I also think bending to be easier as you have some thing to lean into instead of over bending past a note. Best advice is get a full set up. You then can go thru the set up steps and take readings where the tech set everything up to and have a base line for when you want to try adjustments. I have seen so many people say they can not get low action when they drop the bridge when the problem was in the neck relief to start with and the bridge actually had to go up a bit, but the end result was killer low action from top to bottom. Don’t forget you need to adjust (file, with nut files) the nut first before the saddle. My first guitar is a cheap 200 dollar model. 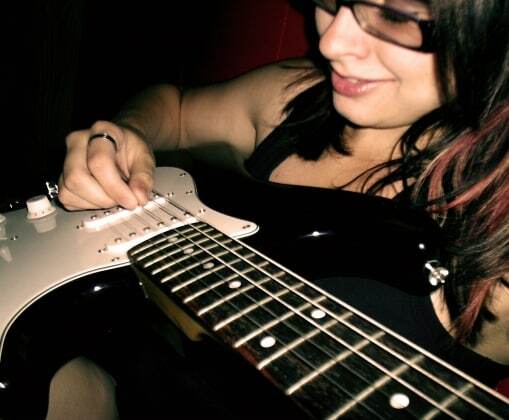 I have thin fingers and find that when I bend a note strings slip over the top of my fingers. I presume that the action is far too high for my shape of fingers. My hands are small man size but certainly not girl size. Is this the reason hardly any girls play electric?? Any help much appreciated. Sorry Chaz but that’s a pile of crap!! Most,if not all “Pro” players actually play with big strings & high action (2mm or higher) ’cause they know that “TONE” is what makes them stand out from the crowd! I think the internet might be the reason why young players want a high action ’cause they’ve read about this.The only people I hear prattling on about “low action,no buzz” these days are guitar techs,because to have a clean playing guitar with high action,we don’t need you!! What Pro musicians do you speak of? Because I’ve met several professional musicians that do prefer low action… including Paul Phillips of Puddle of Mudd, Keith Nelson of Buckcherry and the 10 Years guys. There are also players who prefer(d) high action as well. Again, it’s personal preference to each player. John, it’s Buckcherry, that’s the name of the group. Chuck berry is also a guitarist, but this time we are not talking about him. Hope you now get it. Billy, I don’t know what “pro musicians” are you refering to, but most people i know, play with low action. Slash, James hetfield, Zakk Wylde, Jimmy Page, Steve Vai, etc. But it doesn’t mean it’s better for everybody, just preference. Billys comment about “the TONE” made me chuckle. (That word is so horribly overused on the internet, I now feel silly when i use it to describe a difference that’s actually audible). I’d hate to have ears more sensitive than an oscilloscope or spectrum analyzer, like yours must be- I don’t know how I’d ever be satisfied. You do realise that when you fret a note, the string is the height of the fret no matter what your action? At the other end of the string, you could achieve the same tonal difference of raising your bridge, by lowering your pickups. The thing that surprises me about the article is saying about younger and older player’s tastes… From what I’ve known, younger players are more into emulating shredders, who need low action to type gibberish on their fretboard as quickly as possible. (A gross generalisation I know, but I’m 22 so I can diss my peers). Not many young players care about picking dynamics etc, cause you can’t hear them when your gain’s stuck on 11 with a Big Muff in front. Older players are generally more into blues/jazz styles of playing where dynamics are important. The high action means you can really dig in to some notes when you want. Broadly speaking, fatter strings give a fatter sound which combined with a slightly crunchy blues amp gives you a hugely expressive range of sounds just from picking. Hence SRV using massive strings with massive action- being able to have a fat sound and still hitting the strings with more force than an earthquake. Ps, Billy. SRV also used super glue on his finger tips to stop the strings cutting in- do you reckon he auditioned which brand of glue has the best TONE?